Tuberculosis (TB) was declared a national emergency in Mozambique in March 2006. APOPO supports the country’s Ministry of Health TB control program. Our integrated TB detection approach in Maputo helps identifying additional TB cases by collecting and re-evaluating patient sputum samples from partner clinics and returning results within 24 hours so that newly diagnosed patients can start treatment early. Mozambique is ranked by the World Health Organization as a global 'high TB-burden country' that faces one of the highest TB incidence rates in the world. APOPO's TB project in Mozambique was designed to replicate the successful research use of the TB detection rats in Tanzania. It contributes to the Mozambican National TB Control Program by effectively increasing the number of identified TB patients in the city of Maputo. APOPO built and equipped a TB detection rat facility in partnership with the Veterinary School of the Eduardo Mondlane University in Maputo in 2012. The facility is situated on the University grounds and has been operational since 2013. It expanded further in early 2018, now using a 16-module GeneXpert machine for rapid molecular diagnostic of TB used as confirmation test for rat indicated samples. A total of 20 health centers in Maputo city are now collaborating with the research project by providing sputum samples from patients with presumptive TB. APOPO TB-detection rats re-evaluate all sputum samples, indicating samples as positive that were initially tested negative by smear microscopy tests performed at health centers. Those samples indicated by the rats are confirmed by LED microscopy and now Xpert MTB/Rif, which are more sensitive laboratory techniques that are internationally endorsed. The confirmed additional positive results are then communicated back to the health centers and to the partner community-based organization Kenguelekezé, thus allowing them to trace the patients back and put them on TB treatment. A new operational strategy was implemented in October 2015: accelerating sample collection, rat detection and laboratory confirmation, has allowed APOPO to deliver test results to the clinics within 24 hours. When patients pick up the result of the smear microscopy performed at the clinic laboratories, they also receive the APOPO test results. The aim is to increase treatment initiation and reduce time and effort in patient tracking to deliver results after they have left the clinics. APOPO maintains a 24-hour result turnaround when using Xpert MTB/Rif as confirmation test since the acquisition of the high-throughput GeneXpert platform. 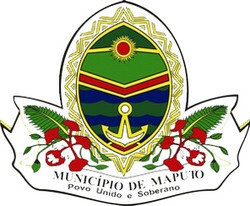 APOPO plans to continue increasing the number of collaborating health centers in the city of Maputo (which recently went from 14 to 20) and to initiate collaboration with 5 health centers of the neighboring city of Matola, in order to offer access to enhanced TB diagnostics to as many people in need as possible. Clinical and epidemiological studies are being planned to further strengthen the APOPO detection rat technology and assess its benefits in the field.